Effects of fire on native and alien plant recruitment in coastal grasslands. On-going research in my laboratory addresses questions about the ecology and evolution of invasive plants. My students and I have been interested in alien grasses, which seem to outcompete native plants, alter nutrient cycling, and change the frequency of fires in Hawaii. Other projects involve invasive trees (Myrica faya) and Verbascum thapsus, a Eurasian biennial weed. Some of our research has suggested that plant competitive hierarchies are strongly context-dependent, meaning that a plant’s relative competitive ability depends on environmental conditions (e.g. presence or absence of mycorrhizae, fire, drought or abundant nitrogen) and initial starting conditions (e.g. the size or density of the competitor). We are testing whether simple changes in field conditions can be used to alter competitive hierarchies, favoring native species over the invaders. My students also explore interactions between invasive plants and pollinators, herbivores and microorganisms in order to understand the roles that these organisms play in successful and failed plant invasions. More generally, I have been interested in global and regional patterns and trends among invaders. One recent focus has been on testing screening systems for identifying species that pose a high risk of becoming pests. Raghu, S., Anderson, R. C., Daehler, C. C. Davis, A. S. Wiedenmann, R. N. Simberloff, D. Mack, R. N. 2006. Adding Biofuels to the Invasive Species Fire? Science. 313: 1742. 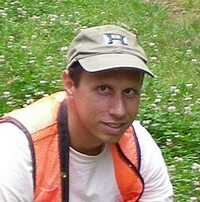 Daehler, C. C. 2006. Invasibility of tropical islands by introduced plants: Partitioning the influence of isolation and propagule pressure. Preslia 78.361-374. Gardener, M. C., and C. C. Daehler. 2006. Documenting floral visitors to rare Hawaiian plants using automated video recordings. Pacific Conservation Biology. Daehler, C.C. 2005. Upper-montane plant invasions in the Hawaiian Islands: Patterns and opportunities. Perspectives in Plant Ecology, Evolution and Systematics 7:203-216. Daehler, C. C. and Goergen, E. M. 2005. Experimental restoration of an indigenous Hawaiian grassland after invasion by buffel grass (Cenchrus ciliaris). Restoration Ecology 13: 380-389. Mueller Dombois, D., and C. C. Daehler. 2005. The PABITRA project: Island landscapes under global change. Pacific Science 59:133-139. Krushelnycky, P.D., Joe, S.M., Medeiros, A.C., Daehler, C.C. and Loope, L.L. 2005. The role of abiotic conditions in shaping the long-term patterns of a high elevation Argentine ant invasion. Diversity and Distributions 11:319-331. Pyšek, P., C. C. Daehler, M. A. Davis, and K. Thompson. 2004. Plant invasions and vegetation succession: closing the gap. Bulletin of the Ecological Society of America 85:105-109. Daehler, C. C., J. S. Denslow, S. Ansari, and H. Kuo. 2004. A risk assessment system for screening out invasive pest plants from Hawai’i and other Pacific Islands. Conservation Biology 18:360-368. Daehler, C. C. 2003. Performance comparisons of co-occurring native and alien plants: Implications for conservation and restoration. Annual Review of Ecology and Systematics 34:183-211. Stampe, E., and C. C. Daehler. 2003. Mycorrhizal species identity affects plant community structure and invasion. Oikos 100:362-372. Goergen, E., and C. C. Daehler. 2002. Factors affecting seedling recruitment in an invasive grass (Pennisetum setaceum) and a native grass (Heteropogon contortus) in the Hawaiian Islands. Plant Ecology 161:147-156. Daehler, C. C., and N. Dudley. 2002. Impact of the black twig borer, and introduced insect pest, on Acacia koa in the Hawaiian Islands. Micronesica 6(Supp.):35-53. Lockwood, J. L., G. J. Russell, J. J. Gittleman, C. C. Daehler, M. L. McKinney, and A. Purvis. 2002. A metric for analyzing taxonomic patterns of extinction risk. Conservation Biology 16:1137-1142. Carino, D. A., and C. C. Daehler. 2002. Can inconspicuous legumes facilitate alien grass invasions? Partridge peas and fountain grass in Hawaii. Ecography 25:33-41. Anderson, R. C., D. E. Gardner, C. C. Daehler, and F. C. Meinzer. 2002. Dieback of Acacia koa in Hawaii: ecological and pathological characterstics of affected stands. Forest Ecology and Management 162:277-290. Daehler, C. C. 2001. Darwin’s naturalization hypothesis revisited. American Naturalist 158:324-330. Daehler, C.C. and D. A. Carino. 2001. Hybridization between native and alien plants and its consequences. Pp. 81-102 In J.L. Lockwood and M.L. McKinney, eds. Biotic Homogenization: The loss of diversity through extinction and invasion. Kluwer Academic Publishers, New York. Goergen, E., and C. C. Daehler. 2001. Reproductive ecology of a native Hawaiian grass (Heteropogon contortus; Poaceae)versus its invasive alien competitor (Pennisetum setaceum; Poaceae). International Journal of Plant Science 162:317-326. Goergen, E., and C. C. Daehler. 2001. Inflorescence damage by insects and fungi in native Pili grass (Heteropogon contortus) versus alien fountain grass (Pennisetum setaceum) in Hawaii. Pacific Science. 55: 129-136. Daehler, C.C. 2001. Two ways to be an invader, but one is more suitable for ecology. Bulletin of the Ecological Society of America . 82: 101-102. Daehler, C.C. and D.A. Carino. 2000. Predicting invasive plants: Prospects for a general screening system based on current regional models. Biological Invasions 2: 92-103. Carino, D.A. and C.C. Daehler. 1999. Genetic variation in an apomictic grass, Heteropogon contortus, in the Hawaiian Islands. Molecular Ecology 8: 2127-2132. Daehler, C.C., M. Yorkston, W. Sun and N. Dudley. 1999. Genetic variation in morphology and growth characters of Acacia koa in the Hawaiian Islands. International Journal of Plant Sciences 160: 767-773. Ewel, J. J., D. J. O’Dowd, J. Bergelson, C. C. Daehler, and C. M. D’Antonio et al. 1999. Deliberate introductions of species: Research needs. Bioscience 49: 619-630. Daehler, C.C. and D.A. Carino. 1999. Threats of invasive plants to the conservation of biodiversity. pp. 21-27 In C.H. Chou, G.R. Waller, and C. Reinhardt, eds. Biodiversity and Allelopathy, Academia Sinica Press, Taipei. Daehler, C.C. 1999. Inbreeding depression in smooth cordgrass (Spartina alterniflora, Poaceae) invading San Francisco Bay. American Journal of Botany 86: 131-139.